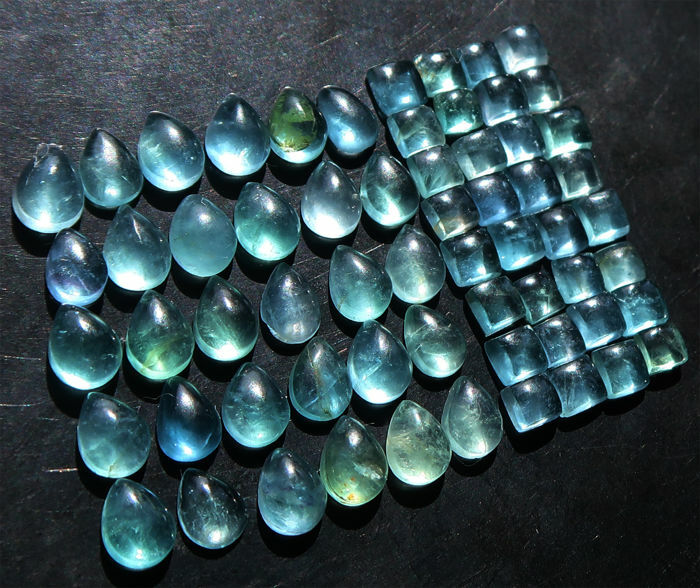 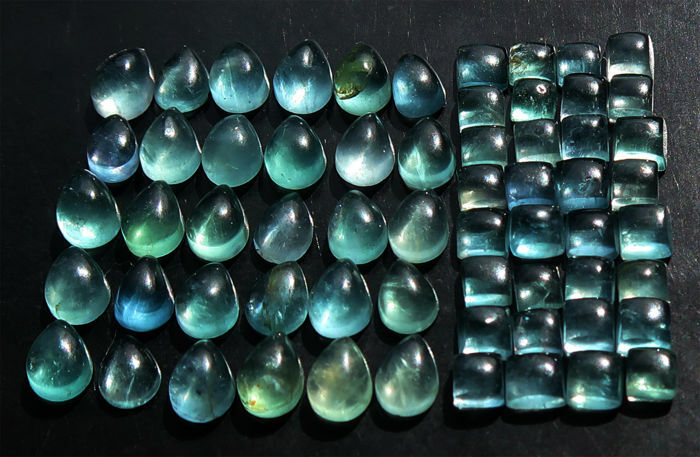 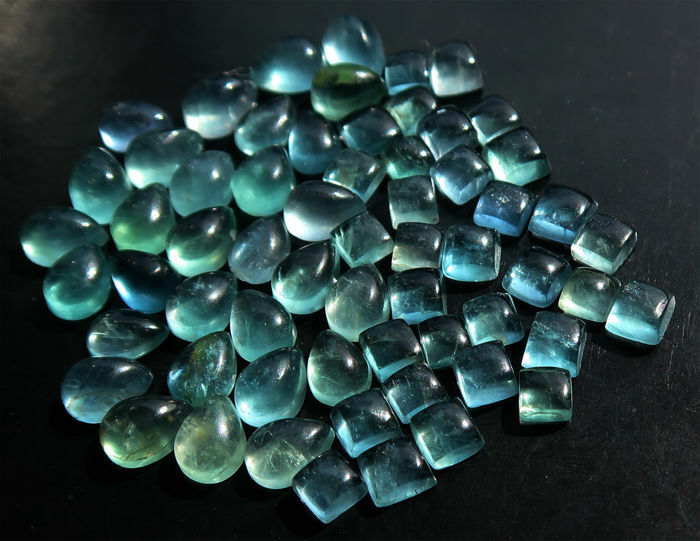 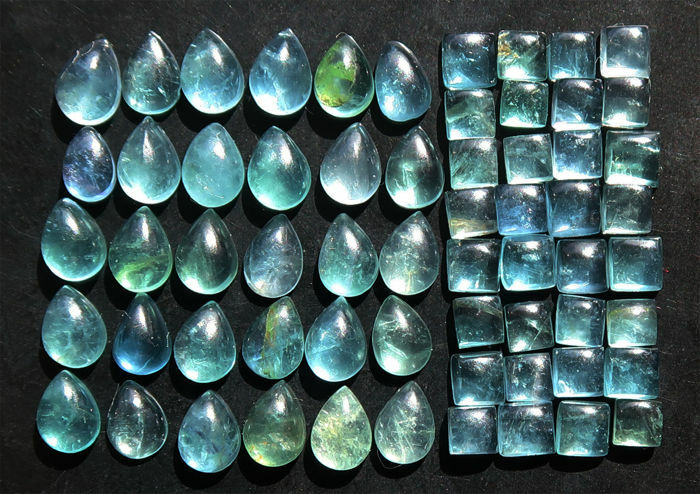 Lot of 62 fluorite cabochons. 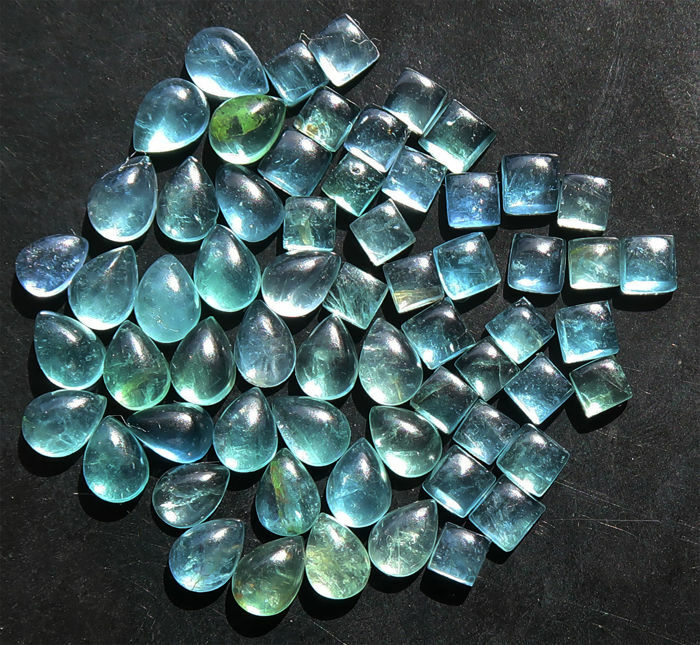 Tear shaped fluorite: 7*5mm. 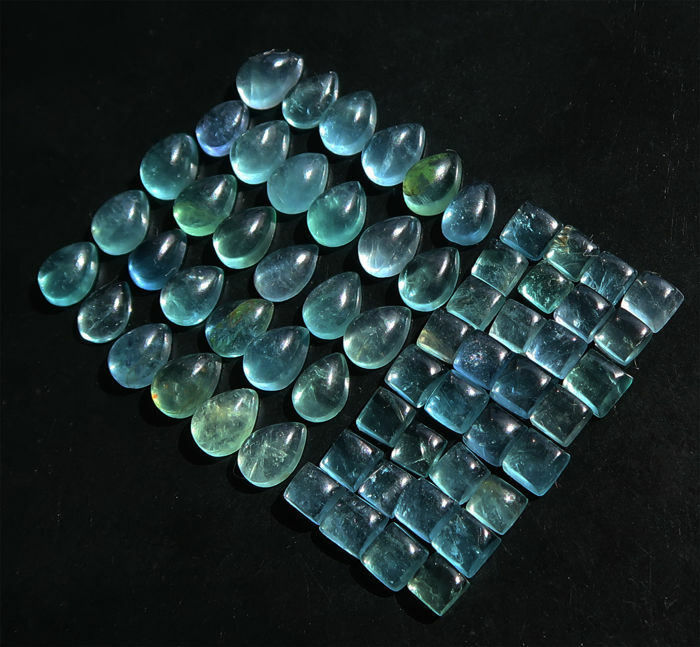 Square shaped fluorite: 4 to 5mm.